Spending a luxury holiday at Olimagiò country farm is a unique opportunity to fully experience the area of Versilia, in northern Tuscany, specifically, the town of Pietrasanta. and in the background, the Apuan Alps. 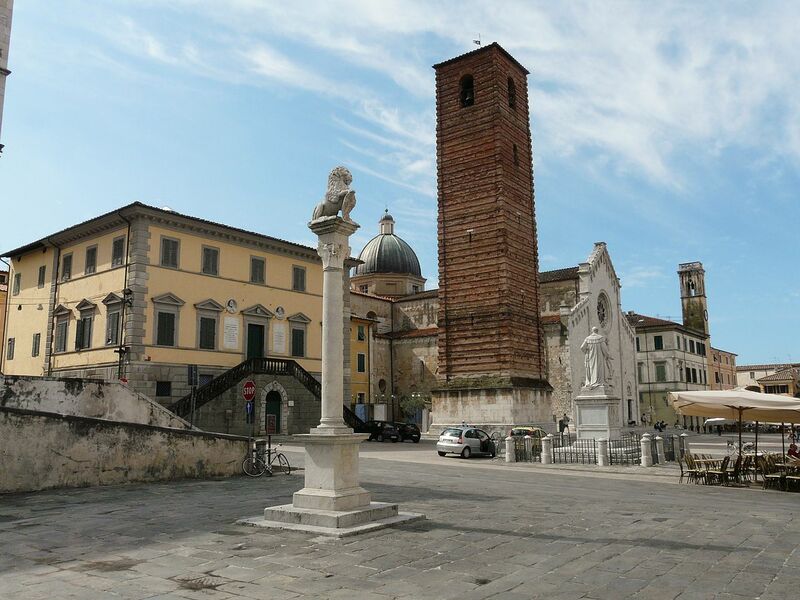 This is how the famous Italian poet Giosuè Carducci described Pietrasanta, having been born just a short distance from the town. The town is one of the most important in Versilia, it is in the historical heart of the territory. The centre of the town is rich in art, history and culture, holding periodic art exhibitions and galleries! Just 3 kilometres from our premises enjoy the history of this artistic and mysterious city, stroll along the charming Via del Riccetto (with its characteristic river stone paving) or along Via della Fontanella, where there is the Spartaco Palla Astronomic Observatory, open to the public and the venue of annual conferences, attended by many famous names in this sector. The many squares of the city will allow you to walk around sculptures made by international artists such as “Il Centauro” by Mitoraj and “Il Guerriero” by Botero and visit the Piazza della Cattedrale where there is the Cathedral and the Church of Saint Augustin dated from the XIVth C., the Baptistery, Town Hall and monuments dedicated to Leopold II. One of the characteristics of the town is the large network of underground passages and historical buildings such as the perimeter walls which can be reached by a path that ends at the Rocca di Sala fortress and which offers spectacular views over the Versilia plane and the wonderful Forte dei Marmi! On beautiful clear days, characteristic of the territory, it is possible to see the islands of the Tuscan Archipelago and the Ligurian coast!